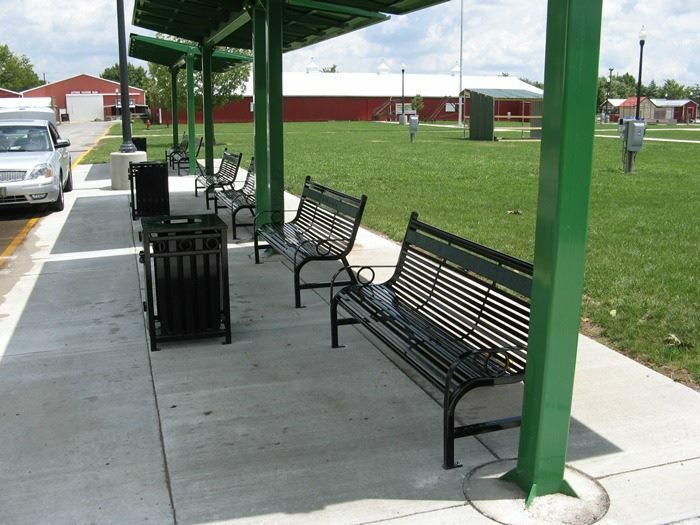 With 2012 fair attendance nearly reaching 1 million, the Indiana State Fair needed park benches that could withstand the rigors and abuse associated with high traffic — all while looking great! Our 8-Foot Broadway Park Bench! Complemented by our extra-durable Zinc Advantage painting system, the benches’ comfortable horizontal slats were the perfect solution for the Fair! For those wondering, our Broadway Benches are still there — and looking as fresh as they day they were installed back in 2013! Some of our park benches at Niagara Falls. 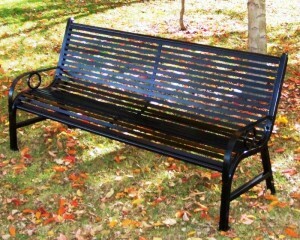 Pictured is our heavy-duty 6-Foot Broadway Park Bench, with super TGIC powder coated finish. We have you covered! The same 6-foot Broadway bench is available in 4-foot, 5-foot, and 8-foot sizes — all with the same high-traffic durability. And find the perfect outdoor park benches, planters, and trash receptacles for your needs! OCCOutdoors park bench and trash receptacle at the Heartland Community Bank. OCCOutdoors would like thank Heartland Community Bank and their great staff for allowing us to display some of our products in April! These durable high-traffic benches are also available in 5-foot and 6-foot varieties. Find the perfect benches, planters, and trash receptacles for your needs! OCCOutdoors furnishings along the Ohio river in Madison, Indiana, incld. 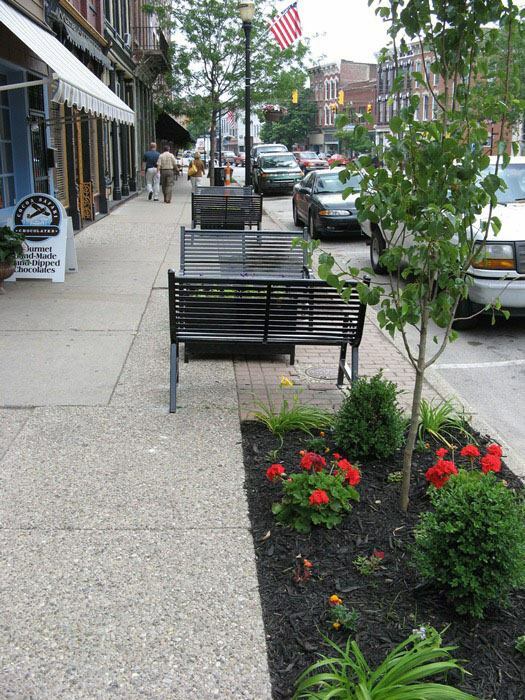 benches, planters and trash receptacles. 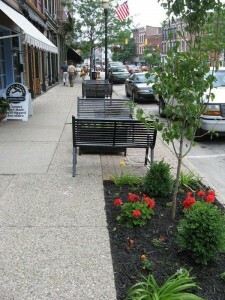 Find the Perfect Sidewalk Bench or Planters for Your Needs!